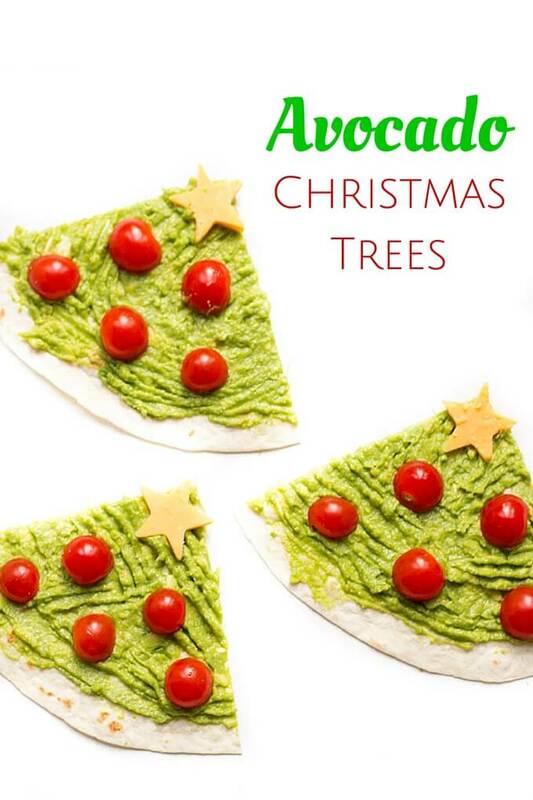 This Avocado Christmas Tree is a healthy, yet fun and interactive, lunch for kids in the lead up to Christmas. This Avocado Christmas Tree is just a pimped up version of a regular lunch that we eat and a favourite of Finns. Mashed avocado on a tortilla wrap with tomatoes and cheese. 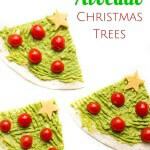 To make the Christmas tree we mashed the avocado and spread it on the wrap as usual and then cut it into quarters. We topped it with cherry tomato baubles and a cheese star (made using a star shaped cutter on a slice of cheese) Simple. This is a good lunch to get your kid involved in. Get them to mash and spread the avocado, cut the star shape cheese and place the tomato baubles. They can then enjoy all their hard work! 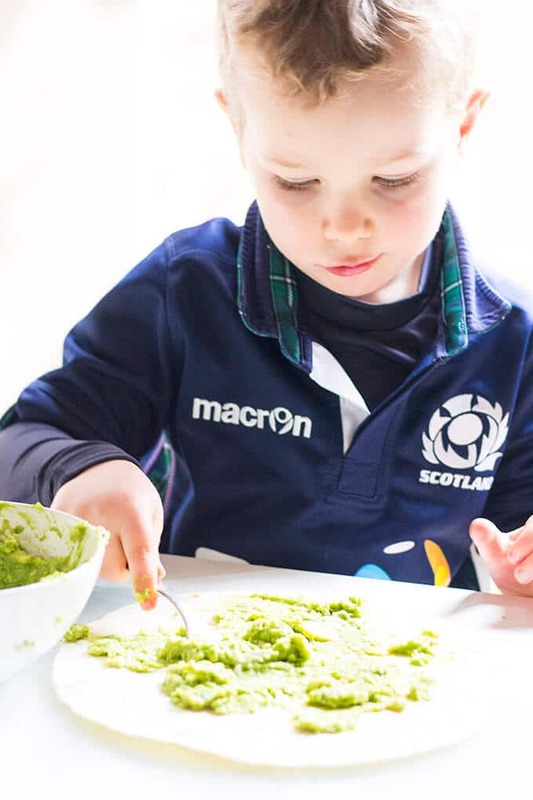 I strongly believe that children who are involved in preparing their meals are more likely to eat what they have made, especially when started young. Christmas can be a time where junk food becomes a focus so it is very important to me to try and make healthier food fun. This Avocado Christmas Tree does just that. It is amazing how changing the shape of a regular lunch gave Finn so much pleasure. I love that he can get excited about Christmas and we can enjoy healthier Christmas themed food. If you are looking for other healthy themed Christmas ideas then why not check out my Christmas Frozen Bark, Watermelon Christmas Trees, Kiwi Christmas Tree, Christmas Puddings, Sweet Potato Christmas Bites, Rudolph Pear, Spinach Christmas Trees, Christmas Spiced Pancakes, Christmas Apple Sandwiches. 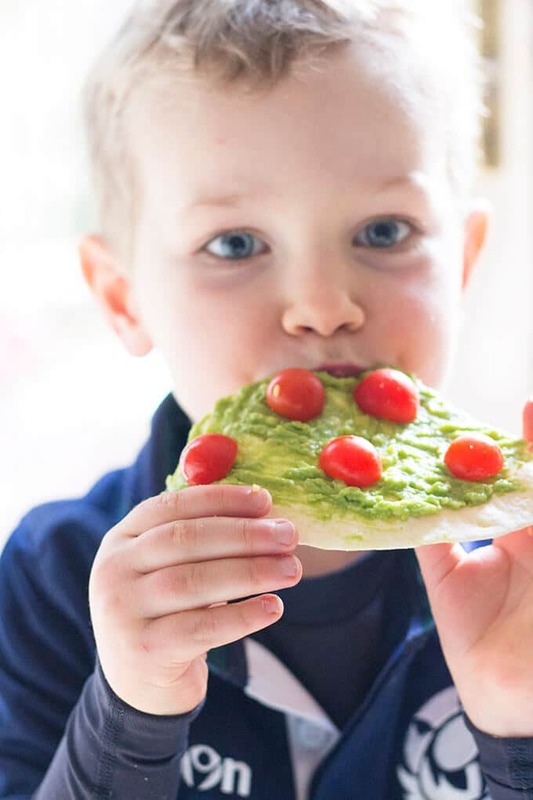 A fun, festive and healthy lunch idea for kids that are excited about Christmas. Spread the mashed avocado over the tortilla wrap and then cut into quarters. ** Nutritional Information is an estimate only, calculated using an online calculator. I found this idea on Pinterest and I wasn’t going to click through as it was pretty simple and I didn’t need the “recipe” to understand what to do. I’m so glad I did through as I love all your Christmas ideas. I love that they are all healthy yet fun. I can’t wait to make them with my 3y old girl.